I recently had the opportunity to attend a book club hosted by CitySquare in Dallas. At this event, we discussed the book, Tested: How Twelve Wrongly Imprisoned Men Held onto Hope by Peyton and Dorothy Budd. Their book tells the stories of twelve men who were imprisoned for crimes they did not commit. As a result of DNA testing and the introduction of new evidence, these men were recently exonerated. Unfortunately, by the time of exoneration, many of these men had spent 5, 10, or even 20 years in prison. Although Dallas leads the nation in DNA exonerations, wrongful convictions are a problem throughout the US. 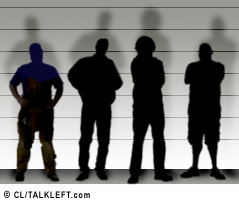 The majority of these wrongful convictions are a result of faulty eyewitness identification. Despite the fact that this type of testimony is unreliable, prosecutors across the nation continue to rely on eyewitnesses. However, new rules issued by the New Jersey Supreme Court will affect how eyewitness testimony is used in the courts. These rules require more rigorous evaluation of eyewitness identifications and make it easier for defendants to challenge eyewitness testimony. Criminal justice reform advocates are hopeful that these new rules will significantly reduce the number of wrongful convictions and that other states will soon follow in New Jersey’s lead. The New Jersey Supreme Court, acknowledging a “troubling lack of reliability in eyewitness identifications,” issued sweeping new rules on Wednesday making it easier for defendants to challenge such evidence in criminal cases. The court said that whenever a defendant presents evidence that a witness’s identification of a suspect was influenced, by the police, for instance, a judge must hold a hearing to consider a broad range of issues. These could include police behavior, but also factors like lighting, the time that had elapsed since the crime or whether the victim felt stress at the time of the identification. When such disputed evidence is admitted, the court said, the judge must give detailed explanations to jurors, even in the middle of a trial, on influences that could heighten the risk of misidentification. In the past, judges held hearings on such matters, but they were far more limited. The decision applies only in New Jersey, but is likely to have considerable impact nationally. The state’s highest court has long been considered a trailblazer in criminal law, and New Jersey has already been a leader in establishing guidelines on how judges should handle such testimony. Stuart J. Rabner, the court’s chief justice, wrote in a unanimous 134-page decision that the test for reliability of eyewitness testimony, as set out by the United States Supreme Court 34 years ago, should be revised. The new rules come at a time of increased scrutiny of the eyewitness identification issue among lawyers, law enforcement officers and the scientific community. The opinion noted that task forces have been formed to recommend or put into effect new procedures to improve reliability. The State Supreme Court’s ruling was seen as significant because it was based in part on an exhaustive study of the scientific research on eyewitness identification, led by a special master, a retired judge, who held hearings and led a review of the literature on the issue. The special master, Geoffrey Gaulkin, estimated that more than 2,000 studies related to the subject had been published since the Supreme Court’s original 1977 decision, the court noted. “Study after study revealed a troubling lack of reliability in eyewitness identifications,” Chief Justice Rabner wrote. “From social science research to the review of actual police lineups, from laboratory experiments to DNA exonerations, the record proves that the possibility of mistaken identification is real. The decision listed more than a dozen factors that judges should consider in evaluating the reliability of a witness’s identification, including whether a weapon was visible during a crime of short duration, the amount of time the witness had to observe the event, how close the witness was to the suspect, whether the witness was under the influence of alcohol or drugs, whether the witness was identifying someone of a different race and the length of time that had elapsed between the crime and the identification. Chief Justice Rabner noted that in the vast majority of cases, identification evidence would still be presented to a jury. The ruling was praised by lawyers and legal groups that have pressed for reforms. “It’s a landmark decision,” said Barry C. Scheck, a director of the Innocence Project at the Benjamin N. Cardozo School of Law, which filed a friend-of-the-court brief in the case. In its ruling, the court cited findings by Brandon L. Garrett, a law professor at the University of Virginia, who documented in a recent book, “Convicting the Innocent,” eyewitness misidentifications in 190 of the first 250 cases of DNA exoneration in the country. The United States Supreme Court is scheduled to hear arguments, in November, in its first significant eyewitness identification case in 34 years. The case, Perry v. New Hampshire, is concerned with whether judges must take a hard look at all identifications arising from suggestive circumstances or only those involving official misconduct. Law Officers in Oregon County Missouri have a long standing history of using false eye witnesses to secure convictions. They use threats of prosecution against people they have caught doing something wrong in order to extract an agreement from the wrongdoers into agreeing to provide false eye witness testimony in court. Someone needs to pay attention to what law officers have been doing in Oregon County Missouri so that no one else ends up being convicted with false eye witness testimony in the court that these officers control. « What happens when “guilt or innocence was never on the table”?